2014 Finca Resalso. 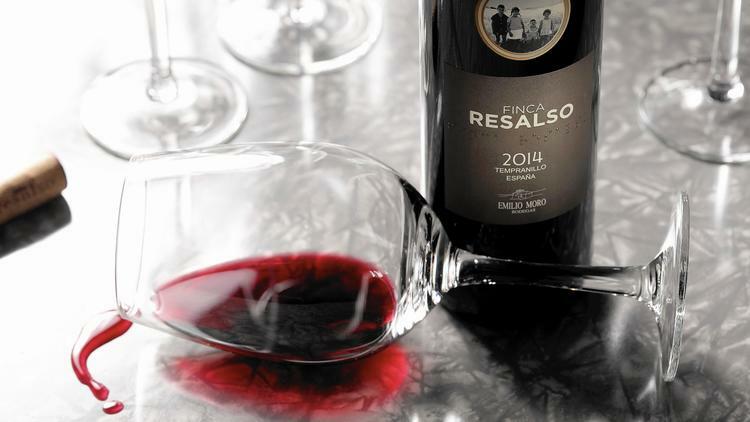 This 100 percent tempranillo offers dark fruits aromas, a bright sweetness and a clean finish. 2011 Traslascuestas Crianza. Fun, fruity and easy to drink, with notes of ripe strawberry, plum and vanilla. 2013 Celeste Crianza. A lush and silky mouthfeel was accompanied by red fruits, blueberries and smoke. 2013 Legaris Crianza. Packing 14.5 percent alcohol, this whopper gives off plum, red fruits, pine, minerality and chocolate. 2010 Protos Gran Reserva. Raspberry, strawberry, lush dark fruits, incense, nutmeg and vanilla all harmonize in this bottle.